A complete history of your current eye symptoms, as well as your general health. A measurement of your vision and determination of the power of your current glasses. 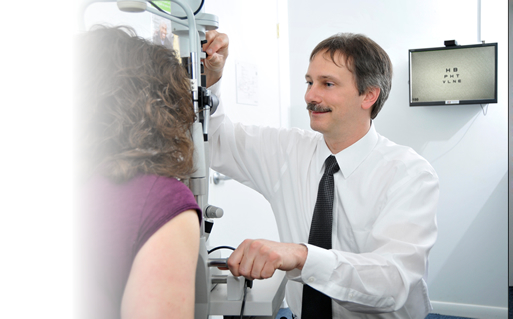 Dilation of your pupils that allows a comprehensive medical exam of the back of your eye. Call to schedule your exam with Dr. Griffith or Dr. Benacci today.